I did it! 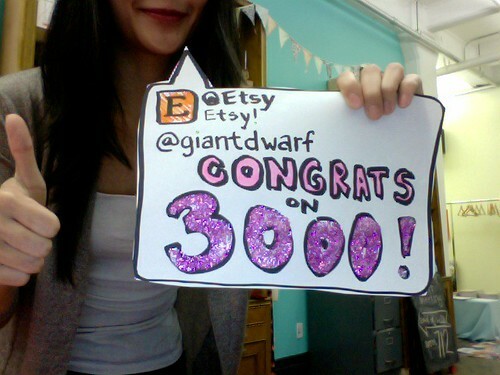 I reached my goal of 3000 sales on Etsy. Huge hugs + high fives to everyone that purchased something from my shop or is thinking about doing so in the future. It really means the world to me! After shouting the good news about my latest milestone achievement, I got the most amazing gift from Etsy. They made a sweet little congratulatory word bubble sign, complete with glitter + all, then sent it to me in photo form via Twitter. How amazing is that? Totally made my year! congrats! 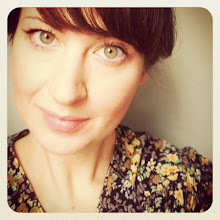 I am just starting an etsy vintage shop and feeling a little anxiety about the initial purchases!